The South Korean could finally launch a large high-end tablet in early 2015, as it has recently received two trademarks, one for G Pen and the other for G Pad X.
LG received a trademark for the G Pen moniker only a few weeks ago and now they got another one which seems to be hinting a new tablet - G Pad X. While nothing is official yet and all we have is speculations, these two new product names seem related and may even launch together as a large high-end tablet and its touch pen companion. 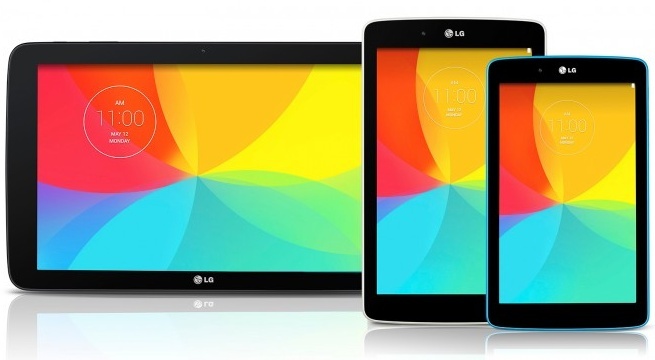 LG G Pad is a rather large family of products that already includes a 10-inch slate, the LG G Pad 10.1. Considering this, it is likely that G Pad X is an "extreme" edition tablet which has a 10-inch screen or a different size. Obviously, the LG G Pad X could be something completely new that cannot be deducted only based on the recently registered trademarks. If the LG G Pad X and its (possible) stylus companion do show up next month at CES, they could be unveiled at the Mobile World Congress in March. Either way, there is plenty of room for a big surprise from the South Korean company, so what's your guess?